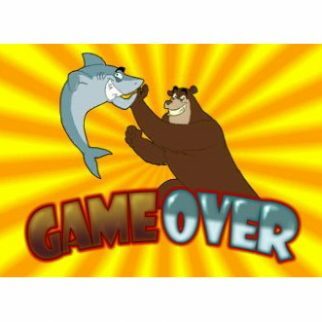 That’s right, Bear and Shark, the infamous 3D show on Nintendo Video from College Humor has made a game. Not only can we watch Steve run for his life in every episode, now we can make him run ourselves in every level. There is no where safe, not water, not even land. 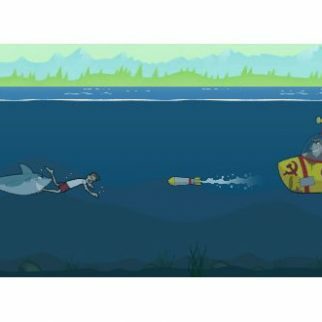 Make Steve leap over obstacles and maneuver around rocks, blown out of proportions puffer fish and of course….Bear and Shark. 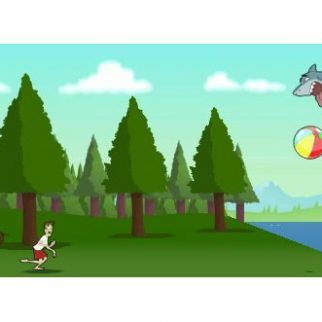 Keep Steve’s strength up by feeding him cupcakes that he finds in the forest and on the lake because we all know that cupcakes make you faabulously energized! Take a dip in the extra water levels and watch how big Steve’s lungs really are. Use the scoring mechanism to keep track of your numbers and monitor your progress. 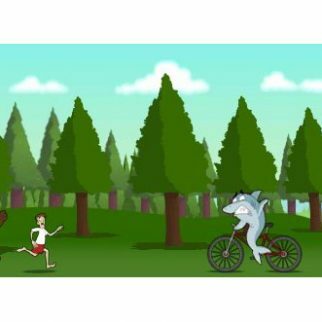 You can find Bear, Shark, and Steve in the Nintendo Downloads for the 3DS.